Is US-NATO Preparing to Wage War on Russia? Is US-NATO Preparing to Wage War on Russia? The Wales NATO Summit in September has set the stage. Several military initiatives directed against the Russian Federation have been launched in the last few months including the conduct of war games in Eastern Europe, military training and the deployment of special forces in Ukraine. These military initiatives are led in coordination with media propaganda and a program of “economic terrorism” consisting of disruptive economic sanctions, the freeze of monetary and trade transactions, the fraudulent manipulation of the oil and currency markets, etc. The media campaign consists in presenting war as a humanitarian undertaking. The endgame is to weaken the Russian Federation, undermine its institutions, impoverish its population. Meanwhile, the US Congress has passed enabling legislation which provides a de facto green light to president Obama to declare war on Russia. Military threat combined with “economic warfare” are intended to create social and economic instability in the Russian Federation. Cyber warfare is also an instrument of intervention directed against an enemy’s communications systems. The US-NATO military exercises conducted in recent months in Eastern Europe and the Baltic States were explicitly directed against Russia. According to Moscow, they consisted in “increasing operation readiness” as well the transfer of NATO “military infrastructure to the Russian borders”. “I think we should provide significant military assistance to the Ukrainian military. I don’t think we should limit ourselves to, non-lethal aid. I think we should provide ammunition, fuel, logistics. I think cyber-assistance would be very significant and helpful, as well as advice and potentially advisers. And on December 18th, President Barack Obama signed the Ukraine Freedom Support Act which allocates up to $350 million in military aid to Ukraine in support of its military campaign in Donbass. In addition to the granting of military aid, the US military is directly involved in the process of military planning in close coordination with Ukraine’s Ministry Defense. While US involvement is officially limited to training, the sending in of special forces and support to Ukraine’s National Guard, mercenaries and private security operatives on contract the Pentagon and NATO have also been deployed within the ranks of the Ukraine military and National Guard in the Donbass region of eastern Ukraine. In late November, the US State Department confirmed that it “will continue to send special teams to Ukraine to provide security assistance”, namely advising and military training. participated in a Global Security Contingency Fund — Ukraine planning requirements meeting with Ukrainian National Guard officials, here, Dec. 8-9, 2014. 2. The military training program is implemented under the auspices of the International Military Education and Training (IMET). 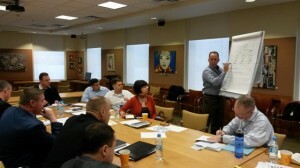 Under this program, Ukraine military personnel are sent to the US for training. 4. Support to Ukraine’s National Guard is implemented through the California–Ukraine State Partnership Program (SPP). 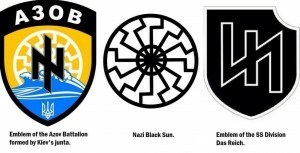 While the SPP mandate is to “promote democracy, free market economies and military reform, in practice the SPP is used to channel support as well as special forces and military advisers to Ukraine’s (neo-Nazi) National Guard battalions in Donbass. 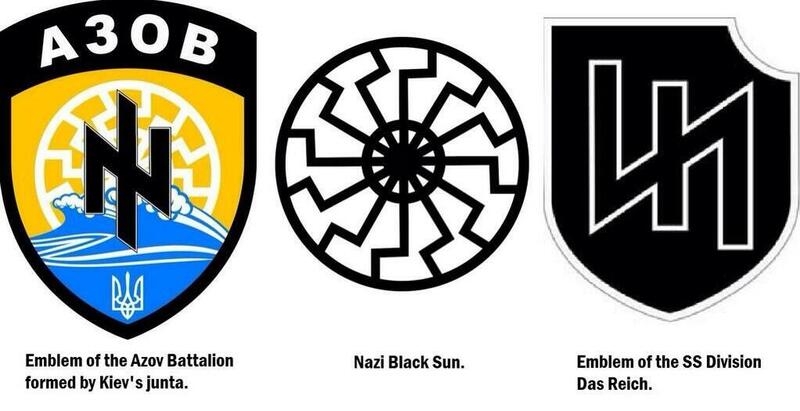 The National Guard Azov Battalion in East Ukraine integrated by neo-Nazi recruits. Of significance, the SPP Mission is coordinated jointly by the US Ambassador to Ukraine and the Commander of U.S. European Command (EUROCOM) General Philip Breedlove based in Stuttgart, Germany. SAY NO TO THE US LED WAR ON RUSSIA WHICH COULD POTENTIALLY LEAD THE WORLD INTO A WORLD WAR III SCENARIO.